As we have seen, especially in recent years, when nature decides to throw a natural disaster our way, there is nothing for us to do but watch it happen and work quickly to recover. 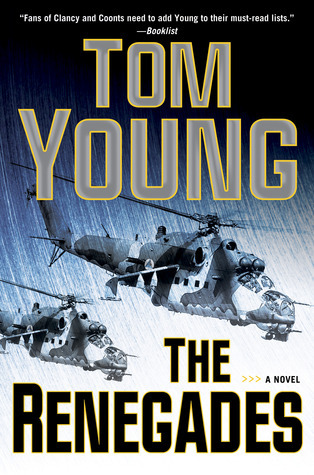 In his latest novel, "The Renegades", Tom Young presents a natural disaster, complicated by the human disaster of war. The horrors of the war in Afghanistan are elevated when a large earthquake strikes the area. In the immediate aftermath, US Lt. Col. Michael Parson is called in to assist with the recovery efforts. Assisted by a cast of interesting characters, especially translator Sophia Gold, the team attempts to save the lives of innocent locals, caught in the crossfire of war and natural disaster. Young presents the people of Afghanistan as torn between being thankful or completely against American assistance. Some locals, like pilot Rashid, even join forces with the US military. Unfortunately, the Taliban witnesses the American's response to the earthquake and, in turn, enter the village, killing many and kidnapping the young boys to train as future soldiers. The bare, mostly quick prose used by Young helps to portray the intensity of the war. The book never lags, always driving forward with suspense and action. Either because of the military jargon or the sheer number of people contributing to a conversation, there were some moments when the dialogue became a bit confusing. I imagine, however, that this confusion may be another form of accurately depicting the intense situations of war. In the end, this novel had no major revelations, but was an entertaining look into the horrors of war and mother nature. Americans have a longstanding love affair with baseball. There is something about attending a ballpark, watching a game amongst friends and family, and even tossing a ball in the backyard that is uniquely American. 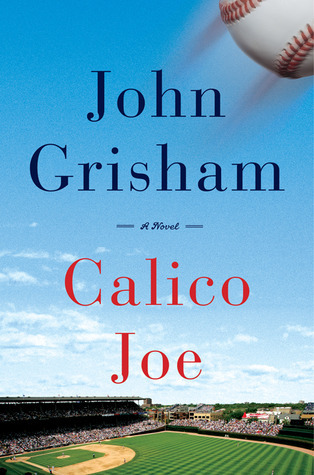 Author John Grisham, known mostly for his taut legal thrillers, takes a welcome departure in his latest novel, "Calico Joe". For a short time in the summer of 1973, Paul Tracey was obsessed with baseball. In part, he wanted to relate to his father Warren, a pitcher for the Mets who was more interested in playing ball and partying than spending time with his family. Beyond even the family issues, Paul, and the rest of America, was drawn to the sport by the Cub's phenomenal rookie, Joe Castle. Joe Castle arrived to the majors after the Cubs lost both of their first base men to injuries. A 21-year-old rookie from the small town of Calico Rock, Arkansas, Joe entered the major league scene with a bang. The rookie hit the most home runs for any first time player, shattering records becoming baseball's overnight sensation, and earning the nickname Calico Joe. Young Paul Tracey was excited when the Cubs and his idol, Calico Joe, finally came to town to play his father's Mets. Seemingly the perfect baseball game, Paul enthusiastically rooted for his two favorite players, Joe and his father. That day was suddenly changed forever as Joe came to bat and Warren Tracey threw a pitch that would change the lives of everyone involved. Taking a break from his usual legal fare, John Grisham brings his accessible storytelling to the world of baseball. The combination works perfectly. Grisham's love for the game shines through with accurate descriptions that both pay homage to the history of the sport while advancing the narrative. As he does so well in his best novels, Grisham fills his world with genuine characters that readers will have no trouble relating to. At less than 200 pages, this novel is paced with the perfect amount of suspense, never feeling rushed of unfinished. By combining a nostalgic look back at America's favorite pastime with riveting characters, John Grisham has knocked this one out of the park. Frank Coffin, police detective and interim chief of Provincetown, Massachusetts, is undergoing a lifestyle change. As a typical middle-aged man who's mind tells him he's invincible while his body reminds him of his mortality, Coffin is attempting to eat better, exercise more, and quit smoking. He's been recognized for his dedication to his job, is surrounded by supportive friends, and his girlfriend has just revealed that she is pregnant with his child. As the tourist season draws to a close, life is good for Frank Coffin. With all this considered, he has decided he would like to live a little bit longer to enjoy it. Of course, the quiet off-season is soon interrupted. It all begins when an arsonist sets fire to a dumpster. As more fires begin to pot up around the city, Coffin attempts to catch the arsonist before he escalates to burning down the small town and killing anyone who stands in his way. Even more troubling is the mental state of Coffins cousin Tom, who is also one of his police officers. For years, Provincetown has fostered rumblings of UFO's in the surrounding area. Locals remain divided on the issue, but Frank becomes directly involved in the matter as Tom begins to speak of his own sightings. As he rambles about being abducted by the invaders, Frank must find a way to ease his cousin's fears and stop the arsonist before the entire town goes mad. I was very impressed with this novel. While it is certainly not the biggest or most ambitious mystery that I've read, I really appreciated Loomis's subtle way of crafting this delightful story. Frank Coffin immediately comes off as a kind of every man who is easy to root for. Provincetown has the perfect combination of small town setting and quirky characters, allowing a sense of reality to permeate the story. 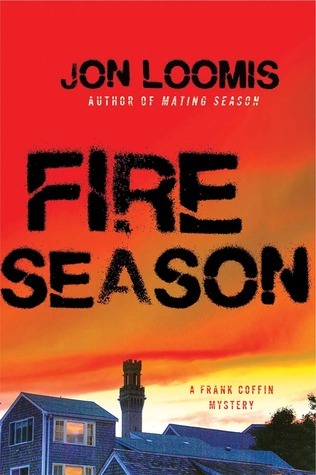 Loomis writes with a refreshingly frank style that makes this novel a quick, suspense driven read. Daniel H. Wilson arrived to the novel scene with last year's inventive tale, "Robopocalypse". Combining a well thought out story with factual information (Wilson has a PhD in robotics), Wilson debuted a highly entertaining novel that earned critical and financial success. 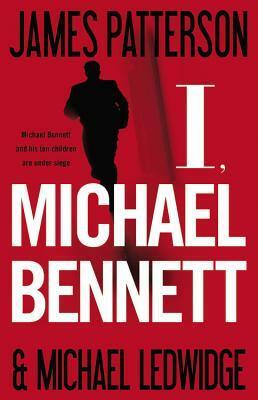 The film rights to the novel were even obtained by director Steven Spielberg. With fond memories of my time spent with his previous novel, I began reading "Amped" with high expectations. In this sophomore novel, Wilson imagines a future in which humans have used technology to enhance their physical and mental abilities, creating a multitude of amplified humans (amps). Owen Gray, a high school teacher, is a medical amp. He was implanted with a device at a young age to help control his seizures. While Owen is a pretty straightforward amp, other humans have been amped to such a high level that normal humans fear them. Fueled by the zealous persuasion of Senator Joseph Vaughn, the Supreme Court passes laws that differentiate the rights of Amps from those of regular people (Reggies). We abruptly learn that Owen's father, who was a lead scientist in the development of Amps, added another element to Owen's implant, one that gives him superhuman characteristics of the highest degree. Set on learning more about himself and on helping gain equal rights for all humans, Owen heads to an Amp refuge in Oklahoma, where he is forced to decide which side of the battle to fight on, and to dig deep inside of himself for the sake of humanity. I was extremely disappointed by this novel. At only 288 pages, the whole narrative felt extremely rushed, and the characters were not given enough time for development. I was reminded of a similar novel, "Toys" by James Patterson, in which a man finds out that he is not what he thinks and is thrust into a battle between enhanced and regular humans. I can't believe that I actually enjoyed the Patterson novel more that this one. 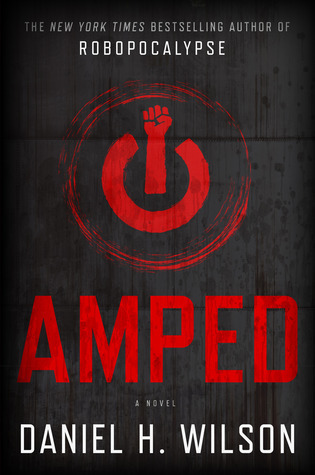 Overall, "Amped" lacks the technical reality, emotionally drawn characters, and unique concept that made "Robopocalypse" a success. Without these components, we are left with a subpar story that moves to an inevitable ending.